4 Pi’s on my screen… What? Sure. Why not. 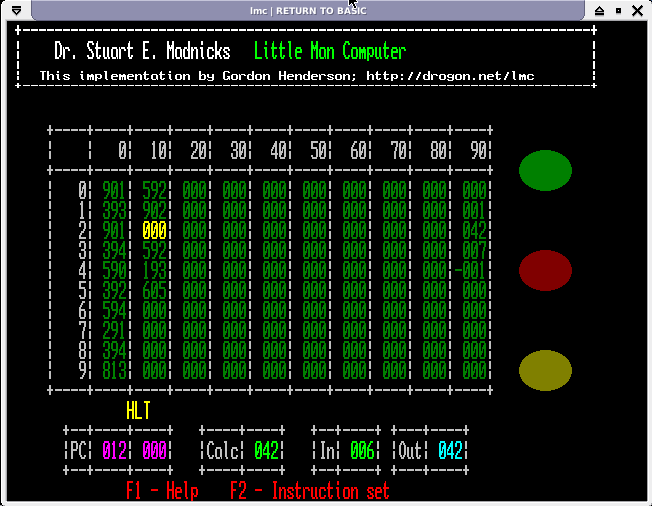 Put 4 x ARMv7 Cortex-A4 cores on the chip and lets give it 1GB of RAM while we’re at it. And here it is. The Pi v2. Unlike all previous Raspberry Pi’s the memory chip is now on the reverse, but otherwise this Pi is exactly the same layout as the current B+ so all your old (and new!) cases remain the same. Compile my RTB BASIC interpreter – on a B+ it takes nearly 3 minutes from scratch. 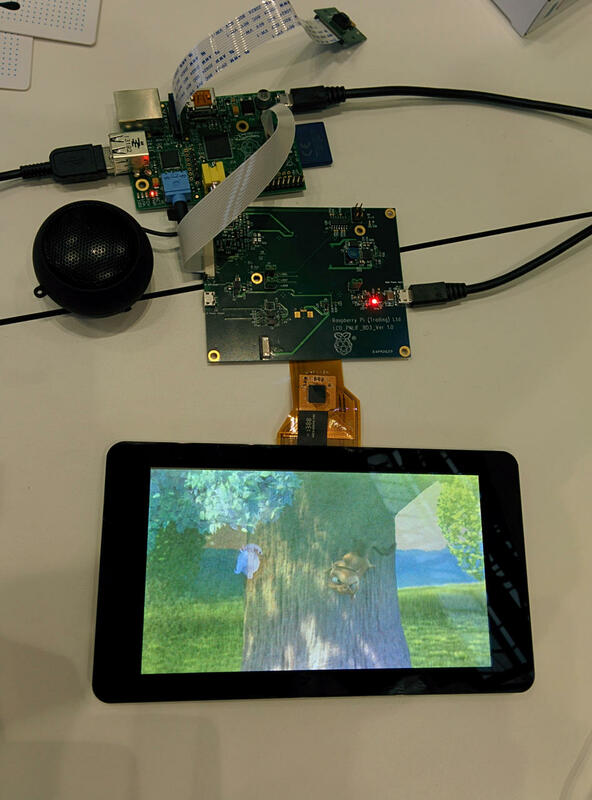 In the Pi 2 using a single core that compile time drops to 1 minute and 9 seconds. Using all 4 cores, the compile time drops to a mere 21 seconds! 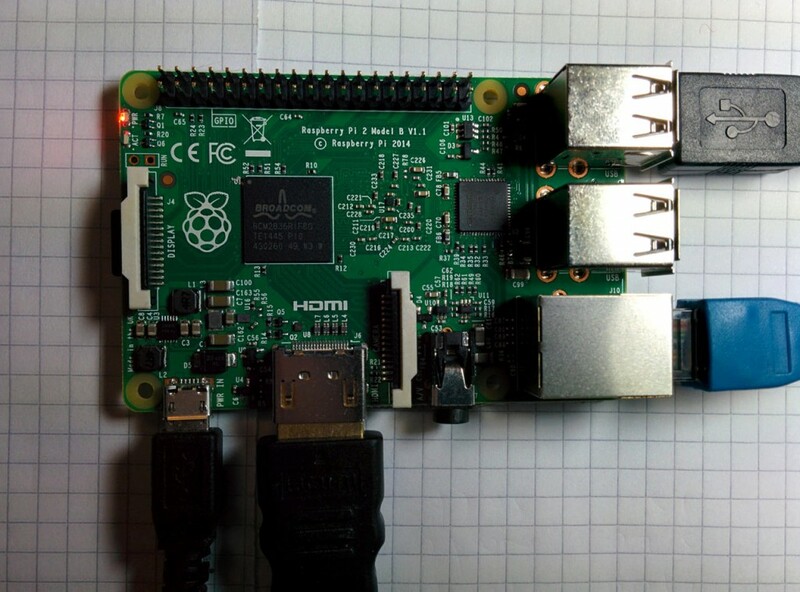 That’s nearly NINE times faster than an existing Pi! Obviously not everything will go faster, and to make full use of that speed, you’ll need to write programs that are multi-threaded – no easy task, but the potential is there. 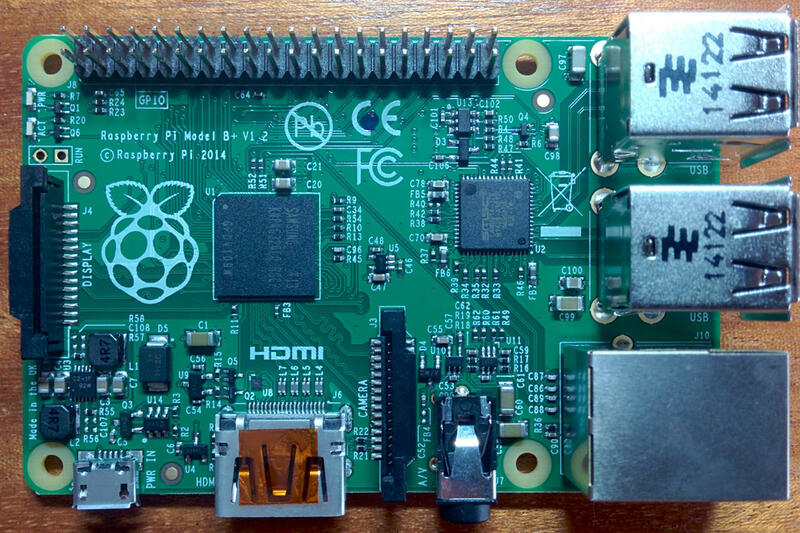 This is the Raspberry Pi you’ve all been waiting for – and I know a lot of people will be saying it’s the Raspberry Pi that should have been three years ago, but you have to start somewhere. I do not believe this could have been possible without all the existing sales and support over the past few years. Proof, in anyone needed it that there is a need for a computer like this. A computer that can help develop and nurture the next generation of computer scientists, programmers and day to day users, just as the micros of the 70’s and 80’s did for us older folks. 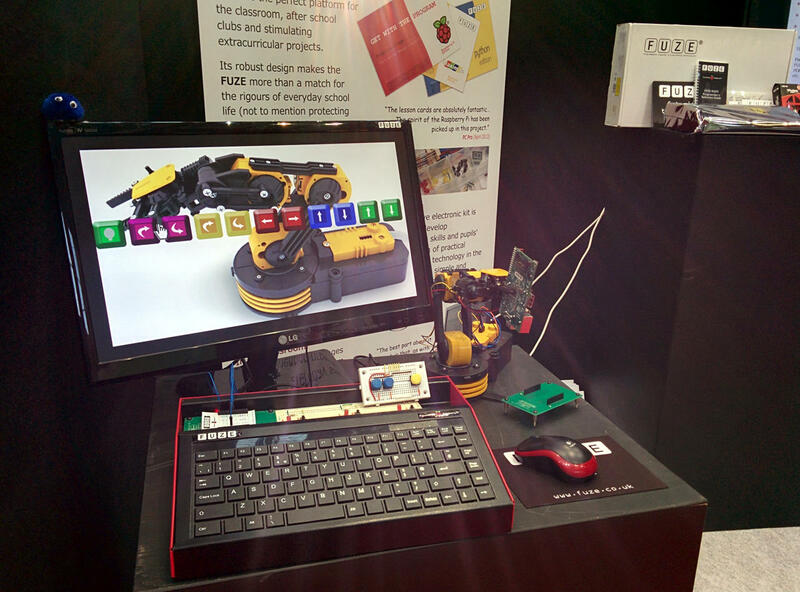 Well done to everyone at the Raspberry Pi foundation! What a fantastic addition to the family. And before I forget it – a HUGE thanks to Eben and the Foundation for allowing me a sneak peak of the Pi v2 so I can make sure my wiringPi librarys work on the v2. The GPIO is the same as before, however the peripheral base address has changed and wiringPi has been updated to reflect this change. 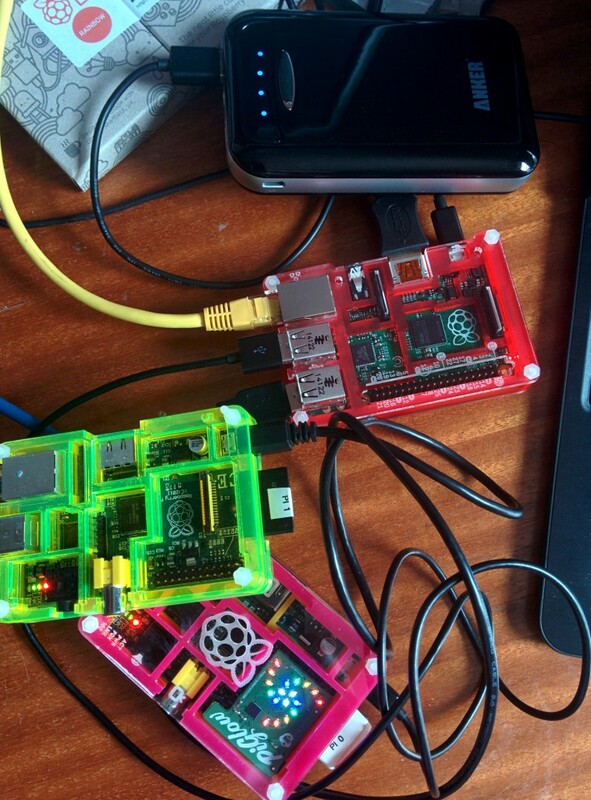 Please fetch a new version of wiringPi (make sure you have version 2.24) and off you go. It auto-detects which Pi you’re on and does the right thing. One of the features of the new Raspberry Pi B+ is improved power handling – particularly round the USB interfaces. 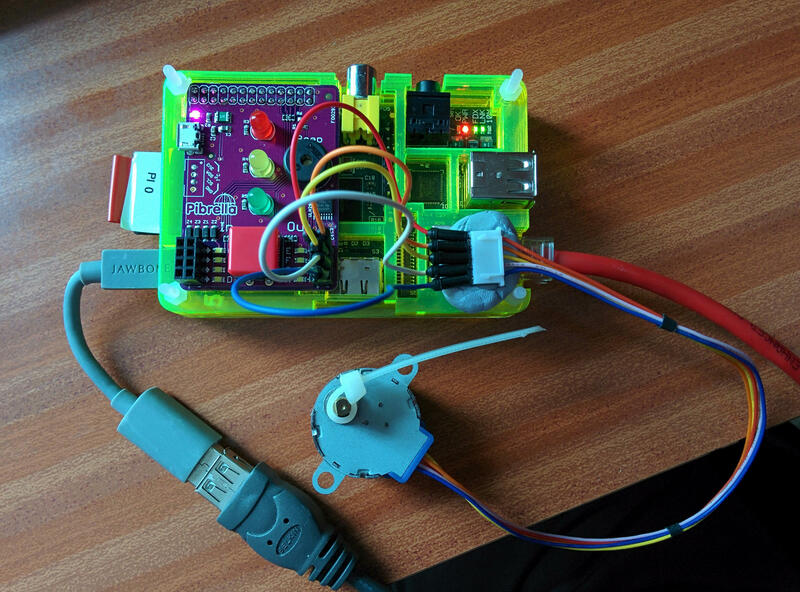 There is a device connected to the power to the USB ports that is quite clever – it controls the power and “soft starts” the peripherals plugged in. This helps to reduce any brown-outs on the main Pi supply, so reducing the chance of the Pi rebooting when you plug in a USB peripheral with the Pi turned on. Additionally, it can also limit the total current drawn by the USB peripherals. This is 600mA by default, but can be increased to 1.2A via software. Warning: DO NOT do this on a whim. Only do this if you are absolutely sure that you need to do it! But if you do need it, then “How?” I hear you ask… Well, simple… There are 2 ways. BCM_GPIO pin number 38 is the magic control pin. You may think I’m doing this the wrong way round, but you want to make sure you’re not switching it high accidentally, so we make sure the output is going to be low when we force the pin to output mode, and low (or 0) is the default 600mA limit. The next version of wiringPi will feature a built-in function of the gpio command to read and set the USB current limiter, but for now, if you need to set it high, then that’s what you can do. And as always please make sure you use a good quality power supply for your Pi! I’ve seen more problems caused by people using cheap wall-warts that can barely power a Pi, let alone any USB peripherals. My test rig for this involved getting my B+ to power 2 other Pi’s via the USB ports on the B+. With the default 600mA setting, the Pi’s would not boot – they powered up, tripped the limiter which powered them down again for a second or 2, then the process repeated. With the limit set to 1.2A they both powered up and booted at the same time without a hitch. Excuse the somewhat chaotic nature of this photo – just trying to cram everything in. The B+ is being powered by an Anker 15,000mAh USB battery charger unit – it was the first 2A PSU I had to hand … Works a treat! USB Power limiting – switchable from 600mA to 1.2A. GPIO: No “P5/P6” connector that was present on the model B. Composite video routed via the 3.5mm jack used for audio. Round corners on the PCB! Improved power supply – 2 amp polyfuse on the input and SMPS 3.3 and 1.8v generators to replace the linear ones on the existing Pi, along with some new widgetry round the audio output to improve the signal there. It saves up to 1 watt according to the boffins at Pi HQ! Those are the main differences as far as most people will be concerned. The combined composite video and audio is (I understand!) a popular connection on phones, tablets, etc. The same HDMI, CSI (Camera) and DSI (Display) ports as the current Model B. The power is an area of big improvement – I’m told the routing on the board is much improved with more power available to the USB sockets – providing your power supply is capable (please buy a good PSU from a reputable dealer!) Also, the USB sockets have been blocked from “back-powering” the rest of the Pi – presumably to prevent any issues with external powered hubs and so on. The low voltage indicator will turn the power LED OFF if the supply voltage is lower than 4.7 volts. Buy good quality power supplies! A quick note on the GPIO: There are actually 2 more pins in the connector – the original I2C bus that appeared on the Revision 1 boards, however this comes with a warning that the bootloader actively probes them, looking for an I2C eeprom device, to be used for further configuration by the bootloader, so connecting anything to them is not advised. wiringPi has been updated to reflect the new board revision in /proc/cpuinfo (currently it reads 0010). Software: Well, no change there, really. Same SoC/CPU and memory, so no changes, really. 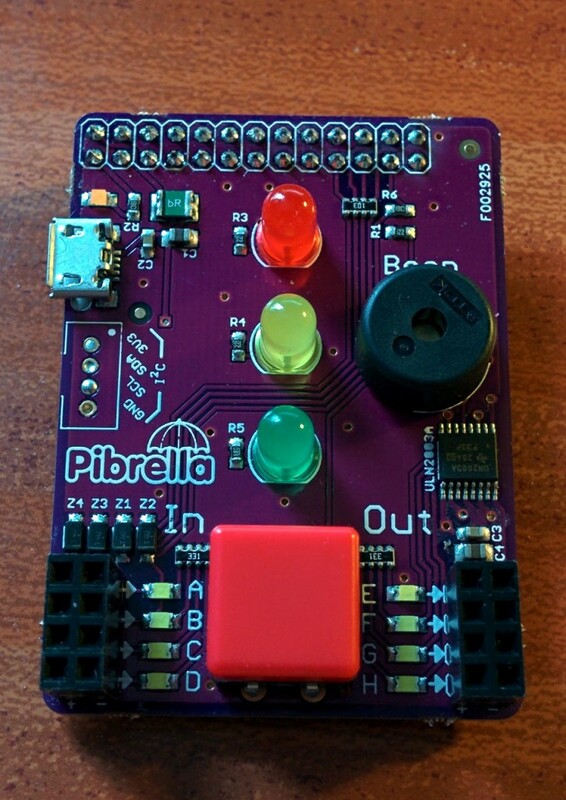 GPIO: The additional GPIO pins can be used for: PWM (Both channels!) 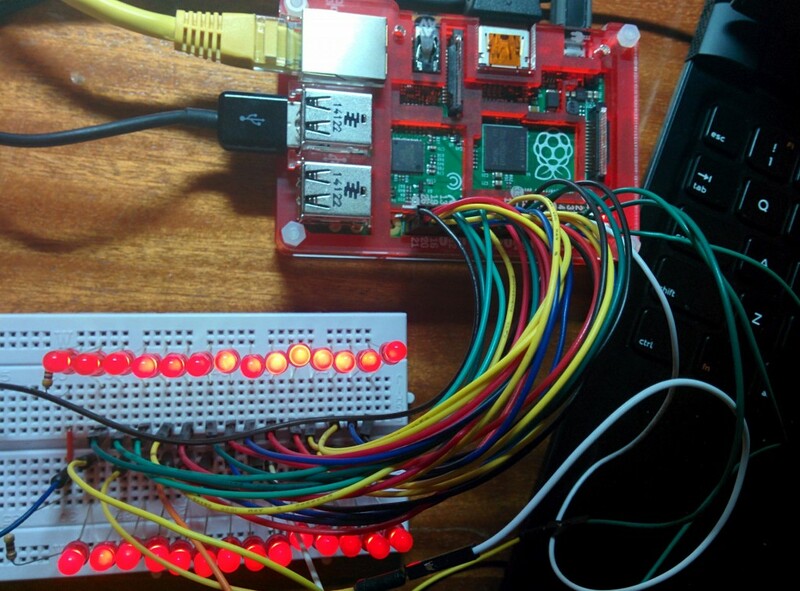 and additional GPIO clocks. Access to the 4 PCM signals is also possible, so I2S is easy to access, so lack of the P5/P6 connector on the model B shouldn’t be an issue. On the GPIO front – the Ethernet socket is a few mm back into the board which may affect the positioning of some GPIO add-on boards that are wide enough to touch the Ethernet socket. And to finish, here is a photo of the B and B+ next to each other: They’re in the new Pimoroni Coupé cases. 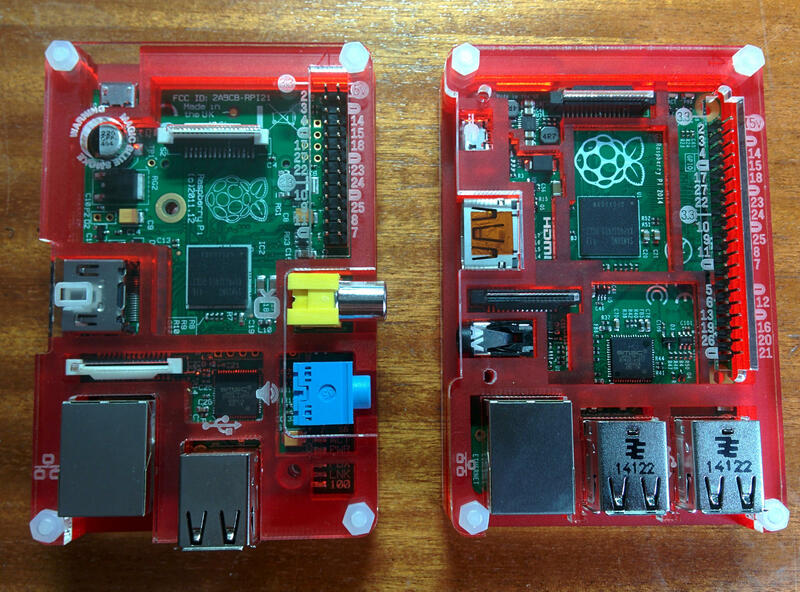 Excellent cases – protects the Pi and lets you use the GPIO to place boards on-top. Note the GPIO pin numbers (BCM format) are given on the case top. Really handy! Yes, I know. Don’t draw more than 50mA through to SoC, and there are 2 pins there that I really shouldn’t use (the first I2C bus), but hey, there it is! 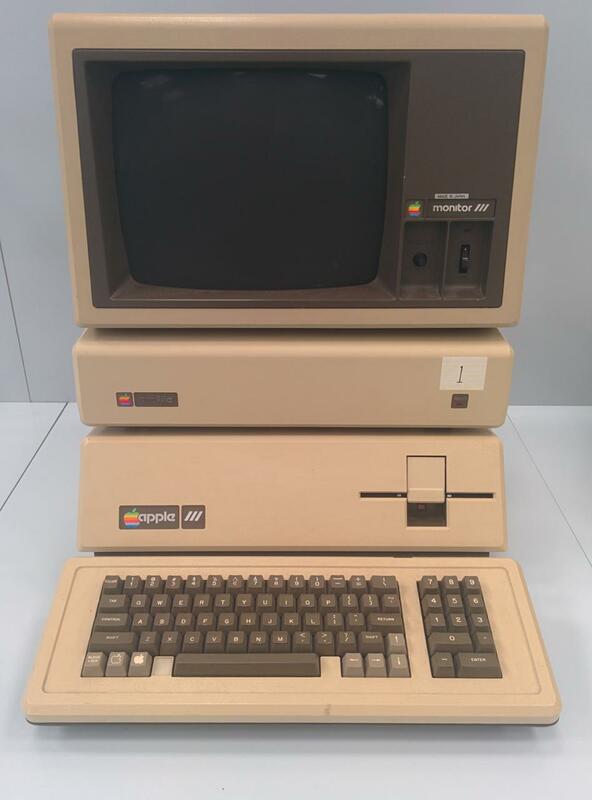 When you think of museums, you think of places with stuffy old exhibits, but computing … well, it’s not that old, really. Sure, we have examples of computing devices or ideas centurys old, but for some – it’s still in our living memory – but it’s still important to preserve it all, especially as it changes so rapidly – e.g. today I saw some old computers that I never knew existed, yet they were built only 20-30 years ago! As well as exhibiting computers (almost all are working too! 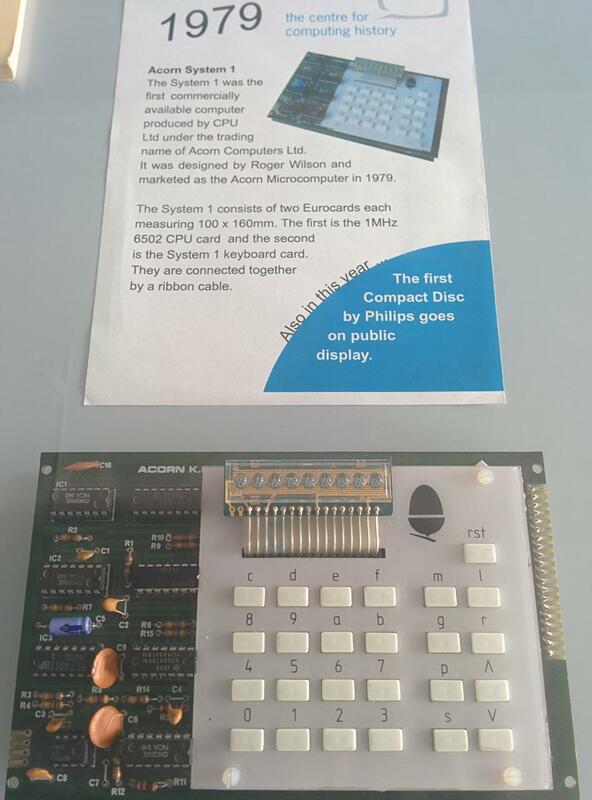 ), there is a great display of calculators (mechanical and electronic) and old gaming consoles – probably almost every single one including an old Atari Pong game. I wasn’t into console games that much – the Atari 2600 was about where I stopped, but I was amazed to found out that there were so many! 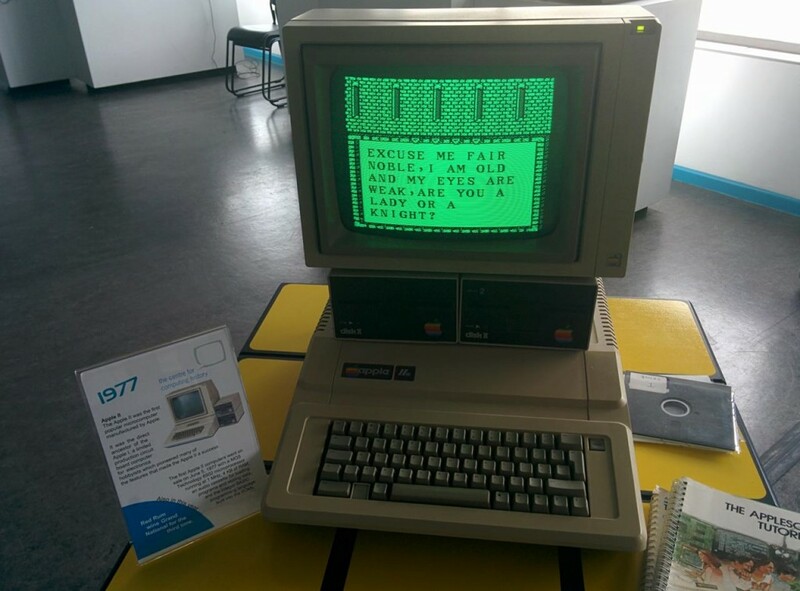 Go and sit in the Classroom of the 80’s – dozens of BBC Micros all working, enter BASIC programs into them, the PET, The Apple II and anything else turned on. 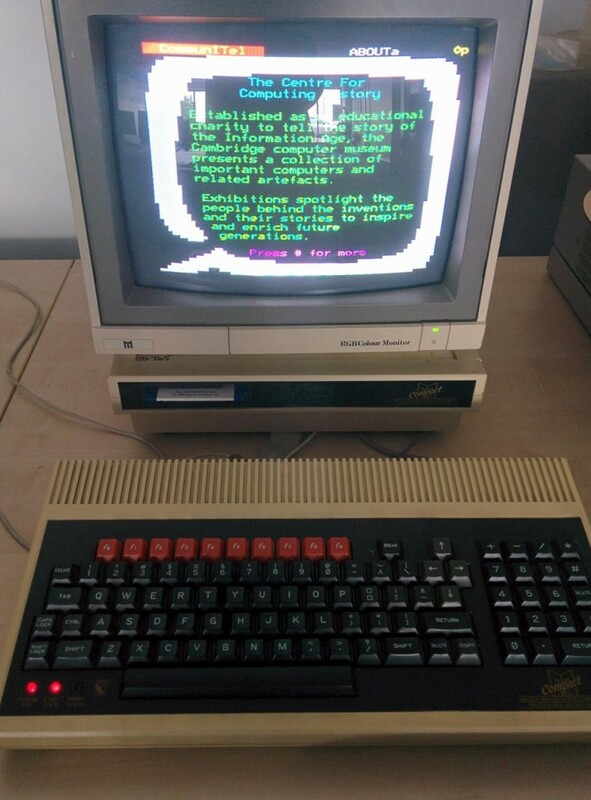 Play on the Domesday machine – a BBC Micro and video disc combination – providing pictures and data from 1980’s Britain, controlled by a BBC Micro and trackball. It would take too long to even think about listing the exhibits I saw here, but I took a few photos of things that are relevant to my computing life (so far!) Also – look at some of the exhibits – recognise them on TV? 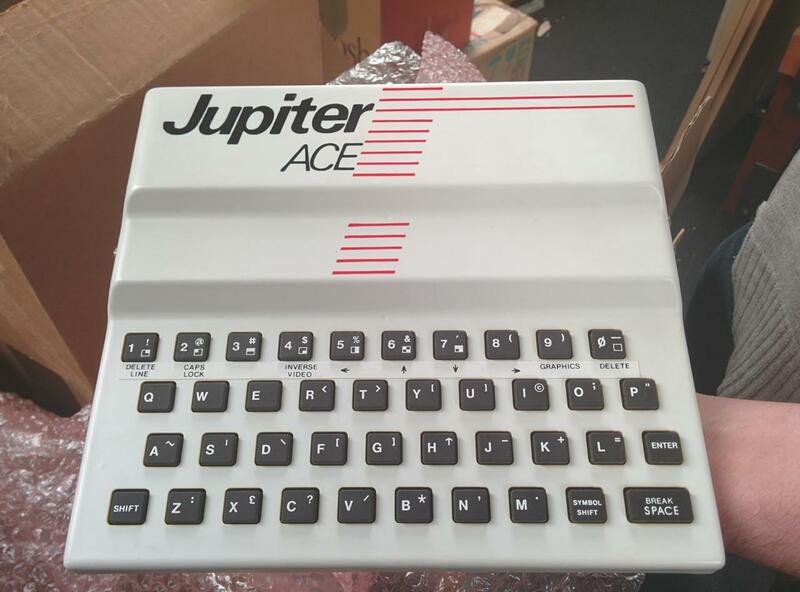 If you do, it’s highly likely they came from here, so if you’re planning a TV/Film type of thing and want some retro computers – this is the place to come! I’ve only ever seen one other of these – in a computer shop in Edinburgh many many years ago! They didn’t sell too well, being eventually replaced by the Macintosh range of computers. 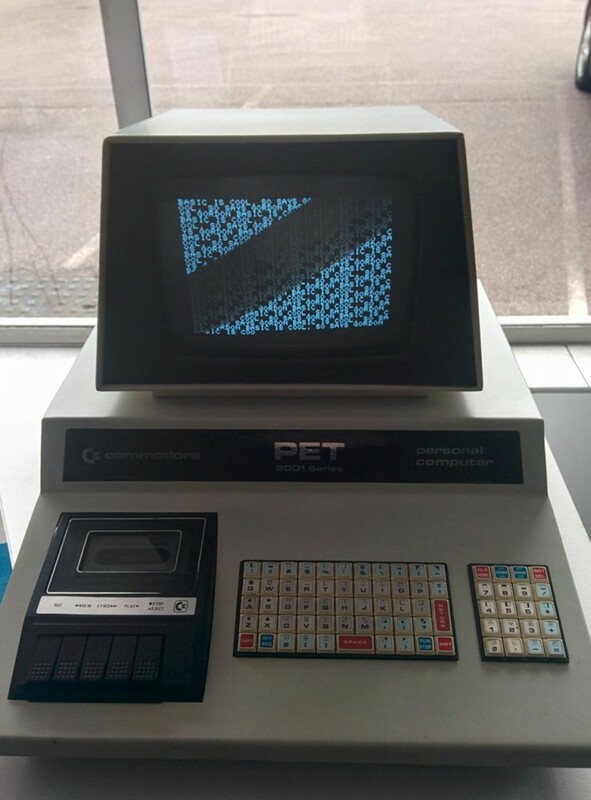 This is one of the very early PET-2001’s with the calculator style keyboards. These were replaced with a bigger keyboard and the tape storage replaced with an external disk drive unit. 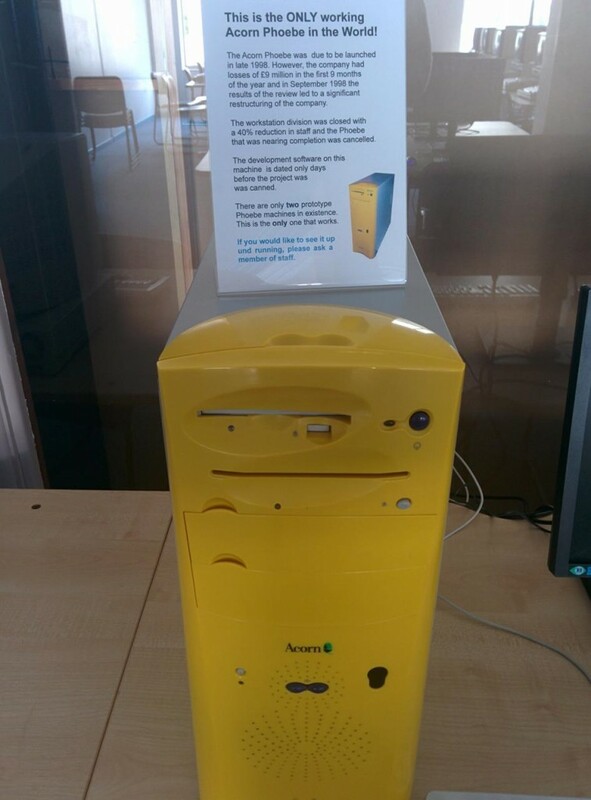 As well as some of the newer computers (new as in the last 35 years here!) 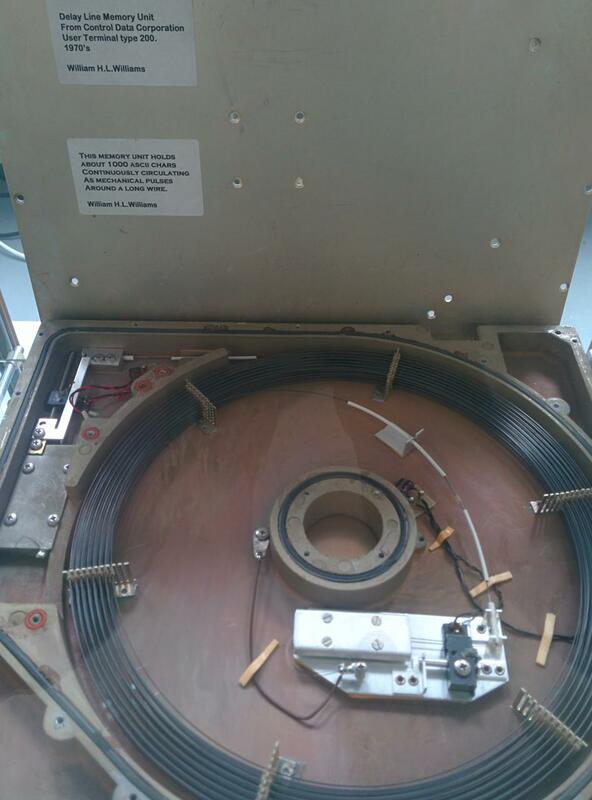 there are a few older exhibits – Some old Ferranti Atlas computers, DEC PDP8 and 11’s and an Elliot 903. (Which I took a photo off, but didn’t check at the time, only to find now that it’s too badly out of focus to use) I had a summer job programming an Elliot 903 in about 1980 – even though it’s a computer that originated in the mid 1960s! This is a delay-line memory storage device. 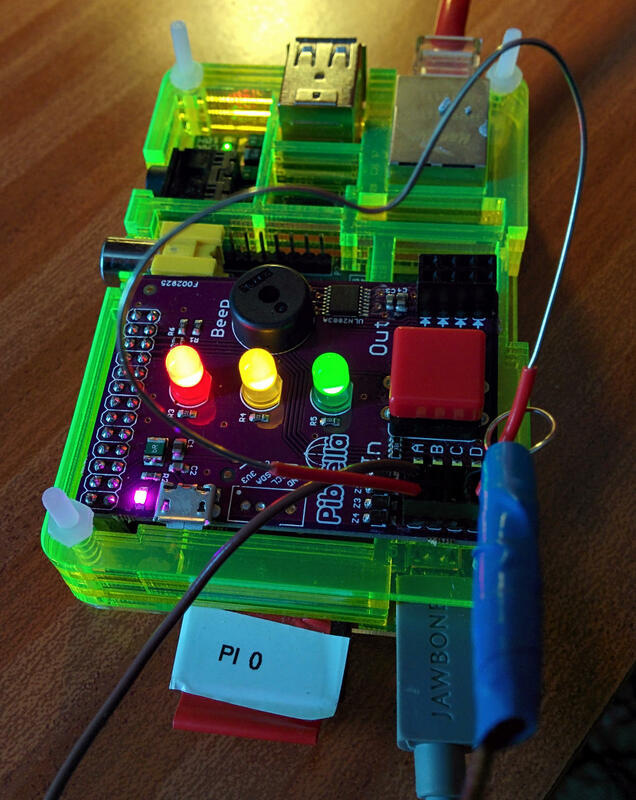 The principle is simple; Take a long piece of wire, connect a beeper to one end, and a sensor at the other. Pulse the beeper and wait for it to turn up at the far end, then feed that pulse back into the wire. The trick here is that you can send many pulses down the wire before the first one pops out at the end (speed of sound and all that). Keep them being re-generated and fed back in and you have a memory unit. It’s not fast, but devices like this did work and were in-use in many systems. (The predecessor to these were mercury columns!) This one stores about 1000 bytes. This is magnetic core memory. The link to it on the Computer museum site is here. It’s very old, hand made, possibly for an experimental computer or calculator. If you look closely, you can see the magnetic cores and the wires threaded through them. 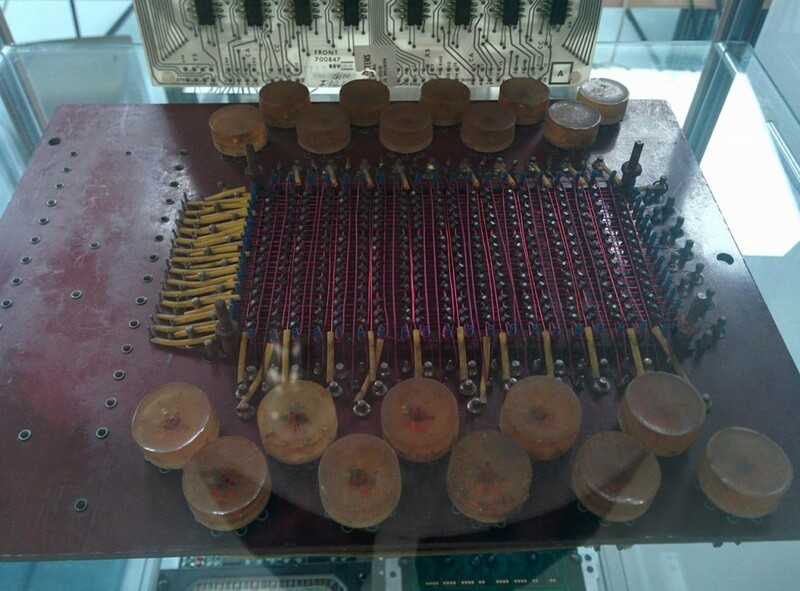 This block stores 20 x 14 = 28 bits of data… Later computers had much smaller cores and capacities up to 2 megabytes. 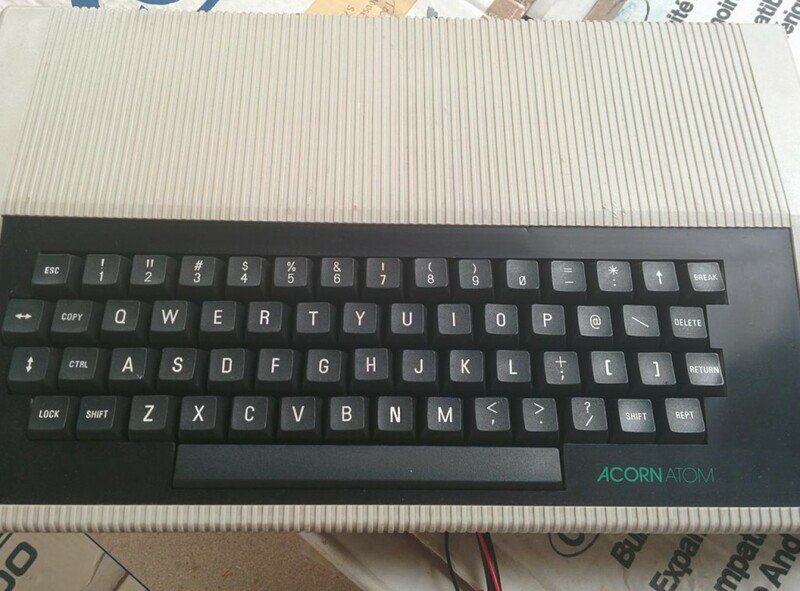 This version is actually a Master Compact – a version of the BBC Master which was the successor to the BBC Micro in a separate keyboard + system case unit. This was the last computer in the Acorn business range – codename “Phoebe”. It’s remarkable as it is an ARM based system supporting multiple CPUs and the now industry standard PCI slots for expansion – as well as a relatively modern and fast graphics system. Literally a day before the launch, Acorn decided to withdraw from the business market and concentrate on other things. 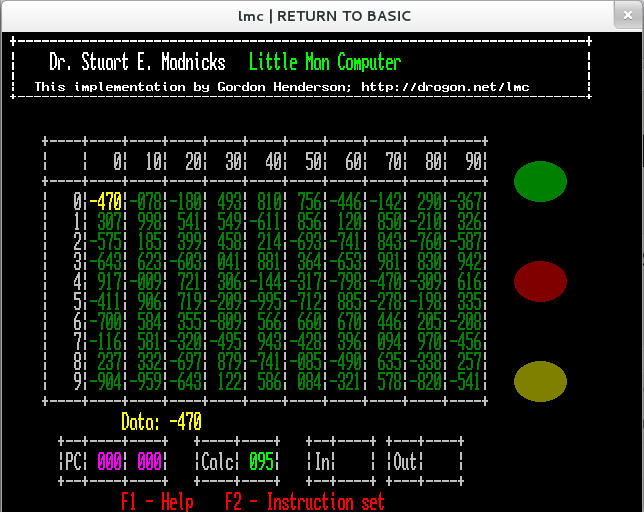 To help celebrate this, I’ve made a new release of my RTB – Return To BASIC interpreter for the Raspberry Pi. RTB started life about 2.5 years ago – even before the Raspberry Pi hardware was on-sale. I wasn’t initially thinking about the Pi, just Linux in-general, but since the release of the Pi, it has gained a small and growing userbase. 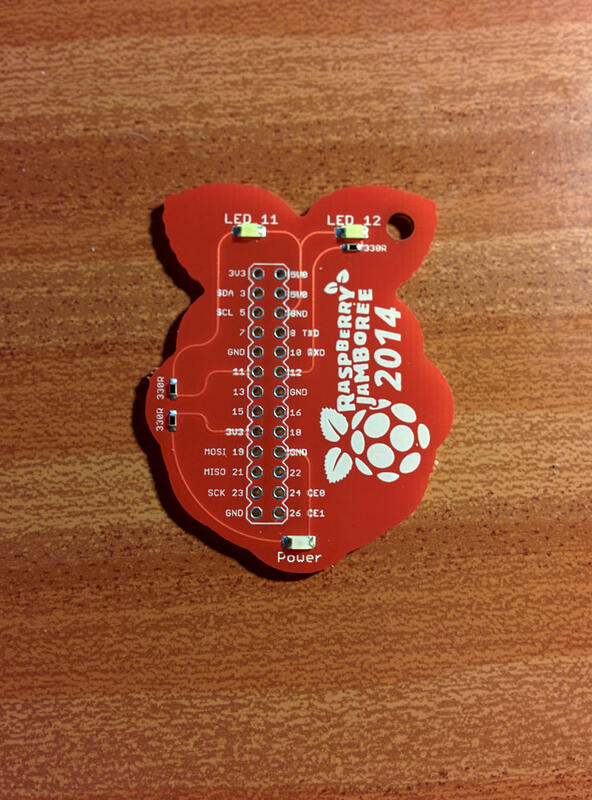 Get your copy of RTB for the Raspberry Pi here. Which I think is fantastic for a 50 year old language! For the past year (ish) I’ve actually been devoting my BASIC time to a forked version called FUZE. This is to run on the FUZE hardware platform, but I’ve just taken the steps to get RTB caught up with the FUZE version and am releasing it today in an easy to use way to install and run on your Raspberry Pi. 10 PRINT "BASIC IS AWESOME!" So the 2nd (annual?) Jamboree was held in Manchester thanks to Alan O’Donohoe and whole host of others who helped him arrange it and it went fantastically well! This year it was spread over 2 days with some talks, etc going on on Thursday with the main event in a dedicated room on Friday where there were some more specialised talks going on. 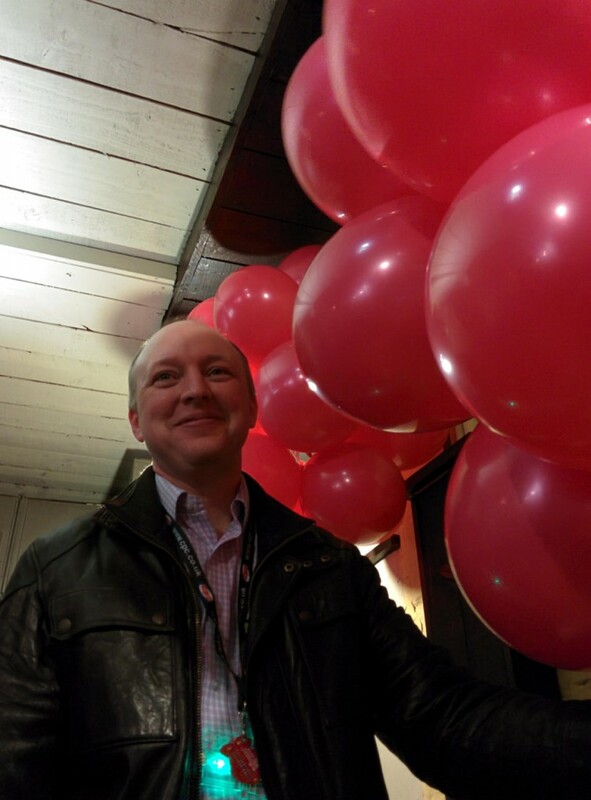 Of-course the real main event was the party in the evening, celebrating not just the Jamboree but of-course the Raspberry Pi’s 2nd birthday! That’s a (slightly wobbly) panoramic view of the party room. The new DSI display interface adapter board from the Raspberry Pi Foundation! That last line uses the ‘wb’ command – wite byte which outputs an 8-bit number to the pins – alternating bits 0 and 1 here. 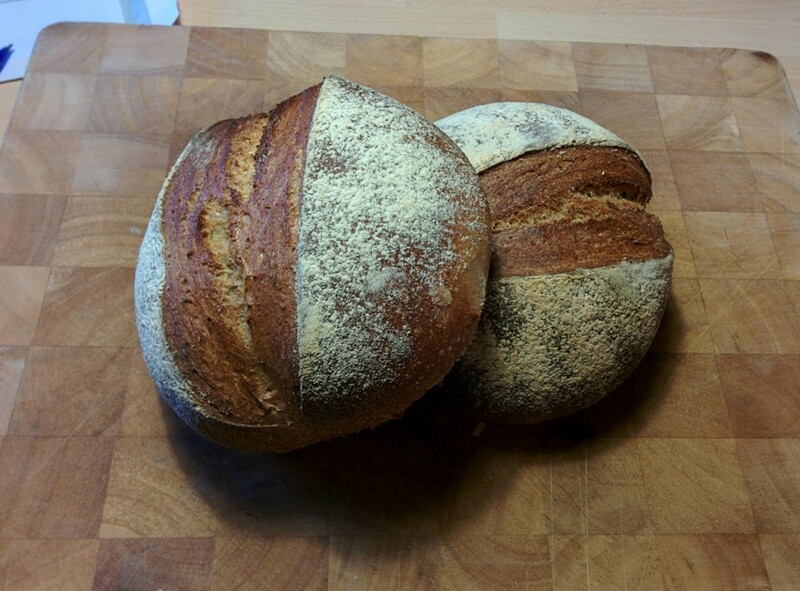 And finally… If you’re missing me talking about bread, here’s some I made earlier. Devon cider bread! So, while my bread making was fine, I’ve always felt it could be improved and as one of my many mottos is “learn something new”, I embarked on an artisan bread making course with Dragan and Penny at the Artisan Bakery School in Sparkwell, Devon. And what a fantastic day it was – actually, I should say two days as I’ve visited them twice now. 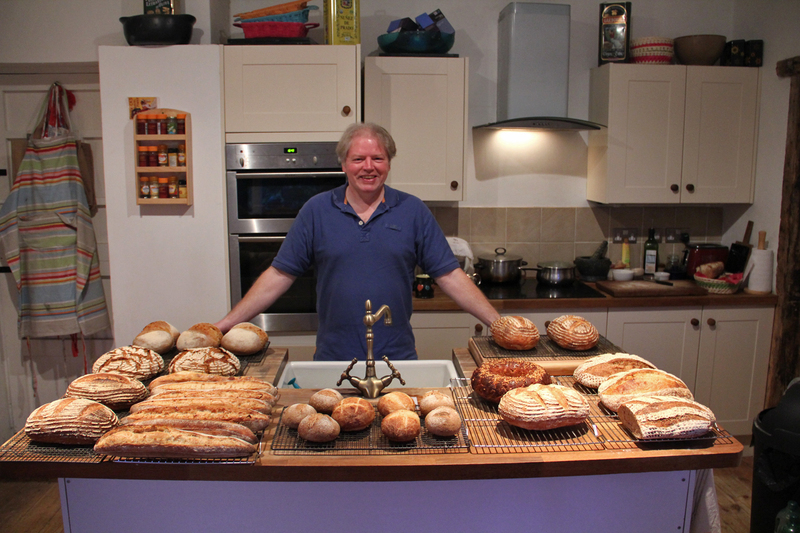 The first time as an introduction to their sourdough bread making and the second to look closer at the business side of things – (The micro business blueprint) going through some of the issues they faced and their solutions, pitfalls and traps and so on. Both times we baked some fantastic bread and my own skills have improved dramatically. Dragan and Penny inspired confidence and showed me new techniques for kneading and shaping, and even right after my first visit with them my bread improved – literally overnight! Dragan’s technique for kneading was excellent and much faster than my own – but after several years of doing it my way, its been somewhat challenging to adapt to his way – it’s not that different at the end of the day, but it’s more efficient, or seems so – if you had to hand knead dough for over 100 loaves one Christmas eve, as they did a few years back, I guess you get efficient quite quickly! And on to shaping – who would have thought just how important that was – it’s demonstrated quickly with a flourish on TV and in some books, almost glossed over, but seeing it first hand and then seeing the difference in the resulting loaf was very good – even in terms of cooked loaf volume – on the course, we were using slightly less dough per loaf than I was in my kitchen, yet the loaves were rising higher with a better texture than my own… All down to the shaping, slashing and proving technique! That’s me with the bread we made on the last course – I didn’t make it all though – there were two others on the course that day, but it’s still a lot of bread! So my own bread now which is being sold in The Seed in Buckfastleigh will certainly benefit from this, and I not have a bit of a clearer head on the business side when I decide to expand the Moorbakes business side of it all.